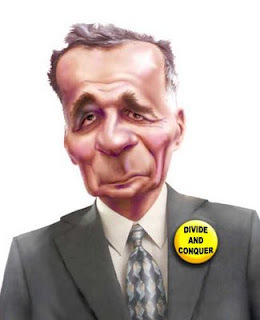 Group News Blog: Ralph Nader, Stop Hurting America. Don't Run. Ralph Nader, Stop Hurting America. Don't Run. Ok, really, enough already. The last 8 years were brought to us in part by Nader. Meaning well or not. Mad at corporate interests in politics, I get it. But enough already. Ask the people of the gulf coast if they would have preferred Al Gore. Ask the VoteVets folks, ask the teachers and public school administrators. Hell, ask half the damn planet. "Ralph, Stop Running For President. You are not helping." Independent presidential candidate Ralph Nader received 6 percent of the vote in a CNN/Opinion Research Corp. poll released Wednesday, bringing him closer to his goal of participating in the upcoming presidential debates. The CNN/ORC poll of registered voters shows Sen. Barack Obama, D-Ill., and Sen. John McCain, R-Ariz., in a statistical dead heat at 46 percent and 43 percent respectively, while Libertarian Party candidate Bob Barr received 3 percent of the vote. Has Nader done a lot of good work in his life? Yes. But this is not time for a morally superior, pointless, ego-drive run for the Whitehouse. All well meaning, thinking people, should put their efforts into stopping the current administration from passing on it's flawed policies, programs and plans to the next administration. And a 3rd party run is going to hurt us. I know lots of people think that the 2 party system is hopelessly flawed. After we stem the current tide of destruction I encourage those folks to work to try to change the system. But not now. I also believe that Nader is forever flawed and can no longer be the 3rd party standard barer. Not after his behavior in '04.